The present paper is devoted to the research into complexity of microblogging social networks regardless of their internal structure. 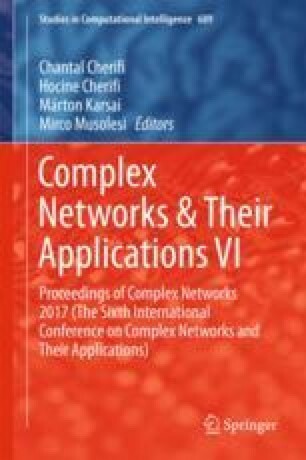 This approach assumes using the results of nonlinear dynamical analysis of signals generated by the networks. The existence of the main indicators of social network complexity, such as scale invariance, tendency to unexpected and/or extraordinary events, non-equilibrium state and emergent properties, are shown using the example of Twitter. As a result, it is determined that the probability density function for a Twitter time series is a q-exponential (Tsallis) distribution and that the Kaulakys equation is the most adequate nonlinear random dynamical system for modeling of signals in social networks. The work was supported by the Russian Foundation for Basic Research (grant 16-07-01027).